As an experienced boat owner, you know how important it is to make every effort to winterise your yacht, protecting her from the ravages of the worst of the winter weather, fuel degradation, mould and mildew. Here’s the low-down on winterising a boat, our professional checklist for seasoned sea dogs! If you’re an inexperienced boat owner it’s probably best to hire a professional to show you how to winterise your vessel. Our experienced technicians are well-versed in the process and always on hand for some practical advise should you need it. The boating season is winding down. Plenty of our customers much prefer to enjoy their yacht – a seriously valuable asset – in good weather rather than bad. Unless you happen to keep your craft in a place where it’s lovely all year round, at some point you’ll need to make her ready for a well-deserved winter rest. 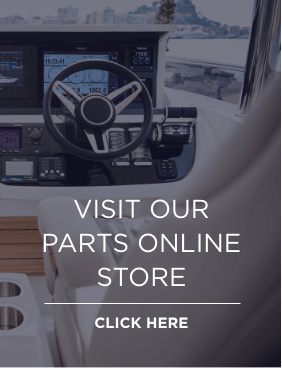 When you get busy early and put the work in, you’ll protect your boat’s performance as well as potentially saving yourself time, money and hassle fixing winter damage in spring. It’s also worth bearing in mind that insurers don’t like to pay claims for neglect or poor maintenance, something your boat insurance policy might even exclude altogether. 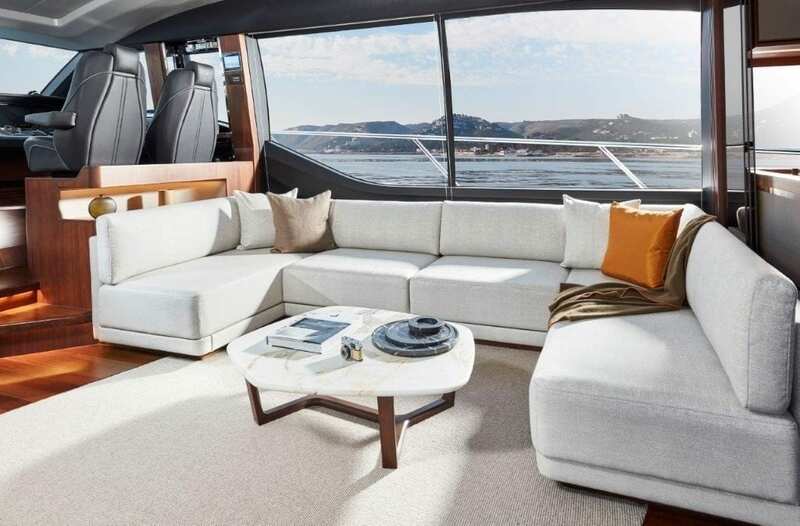 What’s the best place to over-winter a yacht? In an ideal world winter means taking a craft out of the water and putting it under cover in special, climate-controlled storage. But that isn’t always possible or practical. A good alternative is to actually shrink-wrap the entire vessel, fully protecting it from water and damp. Other than that, a good quality, made-to-measure yacht tarpaulin goes a long way to keeping a boat dry and clean. 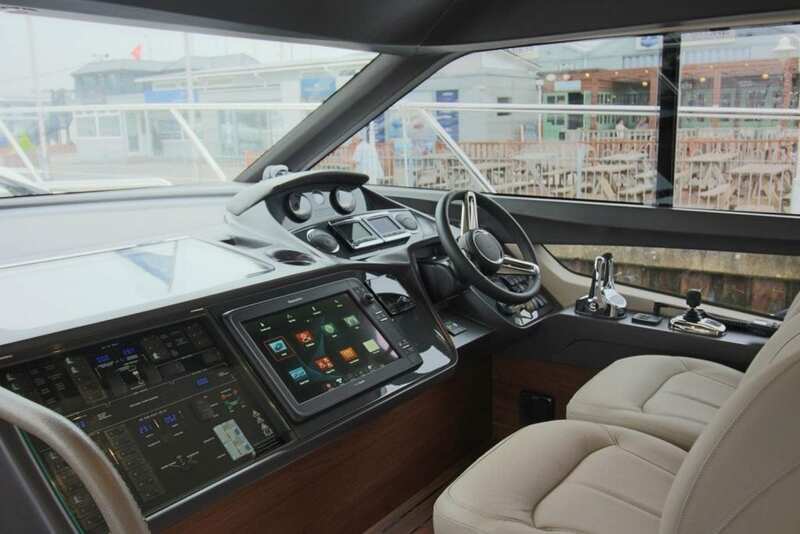 As an experienced owner you will already be pretty familiar with the owner’s manual for the boat itself, the engine, and any other systems on board, all of which should include detailed winterisation tips for the specific make and model you own. But there’s also a great deal of general, overall work you can do to protect a boat through winter. Firstly, focus on your engine. Water can be your worst enemy when over-wintering a yacht engine. It can cause dramatic fuel degradation as well as engine damage. 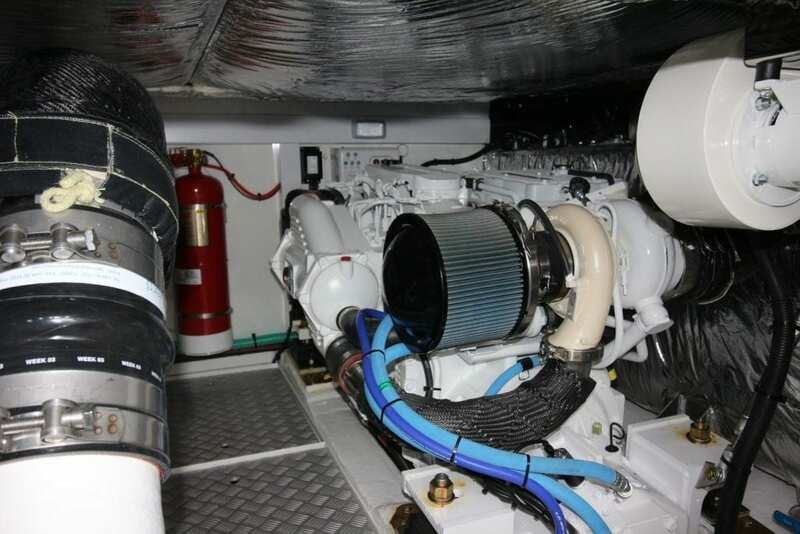 Your yacht motor is an expensive and complicated beast which needs to be looked after so it should be the top priority when it comes to winterising your yacht. If necessary, always consult an expert if you are uncertain what to do. Give your engine a thorough inspection and clean. Change your oil and oil filters. Don’t leave the old, contaminated oil in your yacht motor over the winter. You should also check your gearbox oil and replace it if necessary. Drain the cooling system and refill with fresh anti-freeze. You will need to run the engine for a while to circulate the new coolant. If you are winterising out of the water then removing the air filter and plugging the intake with an oily rag can help prevent corrosion. Loosen or remove all belts and protect the drive wheels to prevent corrosion. Empty and dry the bilges beneath your engine and be sure to check for corrosion. When out of the water it’s a good idea to raise the bow slightly higher to allow rainwater to run off of the boat covers. Next, deal with the interior. Mildew can be a problem when you leave a craft to over-winter. And leaving dirt to moulder away when your boat’s out of use for a few months can mean the dirt can set in and become a permanent fixture. Humid or dry winter air both cause issues with vinyl interiors, so use a good vinyl protection product. Empty and clean all the lockers, the freezer and the ‘fridge. Use a chemical dehumidifier if you think damp might get inside the craft. Remove your valuables. Take out the electronics, cushions, fire extinguishers, flares and any removable gadgets. Then deal with the fuel. You’ll already know that leaving a tank empty or part-empty is asking for trouble, since it leaves room for damaging condensation to form. Check the manual to see what it advises. You might want to fill up the tanks and add a fuel stabilizer, or alternatively empty the tanks altogether and simply add a dash of stabilizer. Once you’re done, change the filters and water separators. Sort out your fresh water system. Fully drain the fresh water tank and do the same to your water heater. Then add anti-freeze, a non-toxic one. It makes sense to isolate the hot water heater and, again, use a non-toxic antifreeze to protect the system. Turn the taps on and run the water until you notice antifreeze coming out. Get busy with the bilges. We’ve already recommended that you empty and dry the bilges beneath your engine but it’s worth mentioning again as poor bilge maintenance can be a source of problems. Empty and clean your bilges and use soap, hot water and a brush to get rid of spilled oil. Spray the clean bilges with a moisture-repelling lubricant and add a dash of antifreeze. Prepare the heads. Find an approved facility and get your holding tank pumped out, adding fresh water at the same time and giving your facilities several flushes. Use a recommended cleaning product to cleanse the heads, then rinse thoroughly. Then add the manufacturer’s recommended type of antifreeze to the holding tank as well as the hoses, valves, and macerator. Remember to care for your batteries. It’s never a good idea to leave batteries unattended for any length of time, so make certain that your batteries are topped up and put them on a trickle charge through the winter. If you don’t have a solar charger or plug handy, remove and store your batteries safely somewhere dry, hooked up to a trickle charger. Alternatively, check and fully charge them every 4 to 6 weeks. Remember to use the right charging voltage tolerance, something that differs between lead-acid batteries and absorbed glass matt batteries. Lastly, prepare her for out-of or in-water storage. Out of water yacht storage preparations include pressure washing the hull to remove dirt and barnacles, and pressure-washing the creatures from your props, shafts, rudders and all exterior components. Check the hull for cracks. Clean the thru-hulls and strainers, letting the water drain out of the seacocks. If you have any blisters on the hull, get them fixed before waxing it to a gorgeous glassy shine. And remember to vent the boat tarp so fresh air can help prevent mould, making sure the cover protects the boat at the water line. If you’ve arranged in-water storage, you’ll need to shut the seacocks. It’s important to check the rudder shafts and stuffing boxes just in case they’ve developed leaks. If so, tighten or repack them. You should ensure the bilge pumps are in good order, and that the float switches smoothly activate the pumps. Last of all, if you’re over-wintering your boat in-water somewhere cold and there’s a chance the water might freeze, add water agitators to keep the craft free from the ice. Check your boat regularly throughout the winter to make sure she hasn’t sprung a leak or suffered damage. Doing all of the above means your craft will be ready and waiting for you, in good order, looking marvellous ready for spring and a fresh season of adventures on the ocean wave! 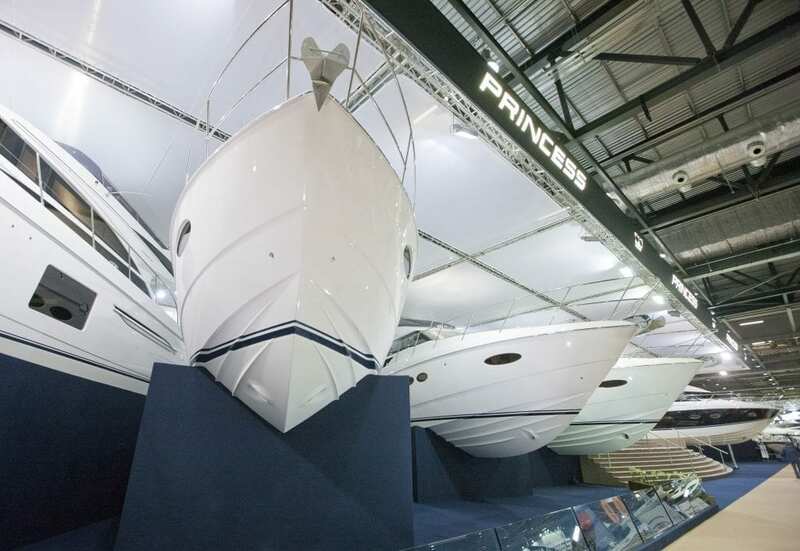 And if you want information about any of our motor yachts or to arrange an appointment to view one of our used Princess stock, contact our sales team on +44 (0)1489 557755 or email direct@princess.co.uk.